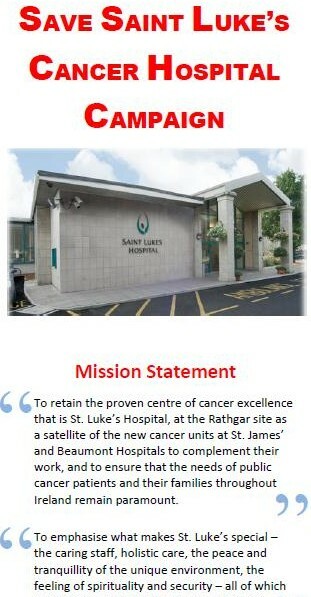 A recent leaflet issued by the Save Saint Luke’s Cancer Hospital Campaign. Minister Harney announced in 2005 that St James’ Hospital would be the southside centre of excellence with the consequence that down the line St Luke’s would close. 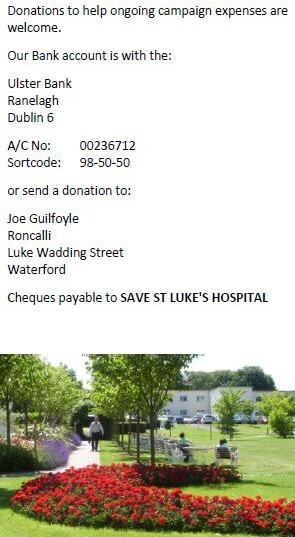 In 2006, St Luke’s patient Joe Guilfoyle started a national campaign to save St Luke’s which quickly gathered members all over Ireland. 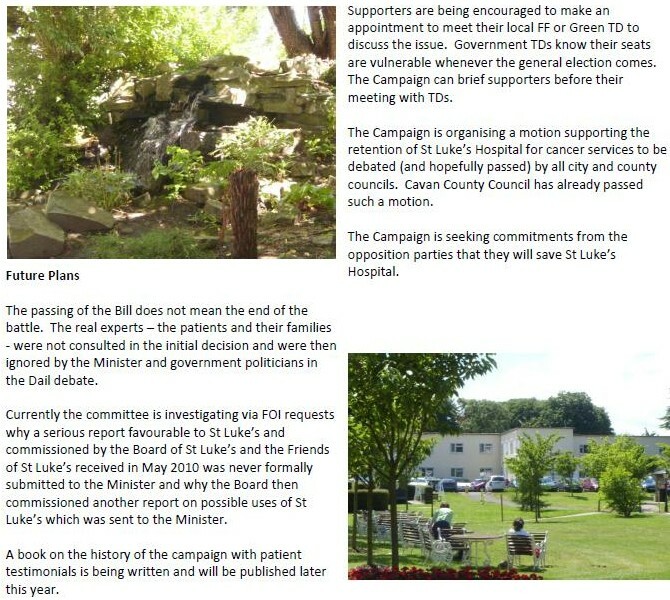 Supporters of the campaign are encouraged to meet their local Fianna Fail or Green TD to discuss the issue. At Present St Luke’s is due to be wound down and closed in 2014. The campaign is not affiliated to any political party. Many thanks to the campaign for sending me this.